Sanotint hair colour Classic Blonde nr. 10 gentle hair dye - Vivasan Webshop English - World wide delivery Vivasan Official Webshop® is specialized in shipments to the UK, Ireland and Scandinavian countries. Best prices! 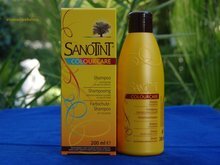 Sanotint is the only ‘Do-it-yourself’ hair colour with Golden Millet and other vegetal extracts, to colour your hair without damaging it. 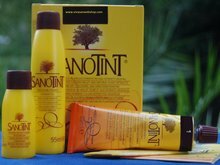 Sanotint Hair colour is an infinitely and safe hair treatment thanks to the natural ingredients of its formula: extracts of Golden Millet, Olive, Birch and Grape as well as Vitamin B7 and B5, that ensure a bright and long-lasting colour, maintaining the hair healthy, soft and luminous and guaranteeing a perfect grey coverage from the first application. Sanotint Hair colour has an extremely reduced risk of allergic reaction. 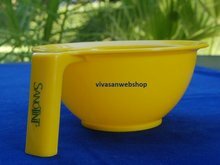 The product is free of ammonia, parabens, added metals, paraffin’s, silicones, alcohol, formaldehyde and is nickel tested. 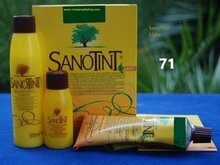 Sanotint Hair colour does not contain derivates of animal origin and is dermatologically tested. Detailed instruction is included. Use only with gloves. We recommend to do a sensitive test before using this product as it could cause some allergic reaction. Contains Hydrogen Peroxide. Do not use on eyelashes and eyebrows. Keep out of reach of children. EEC and FDA approved. 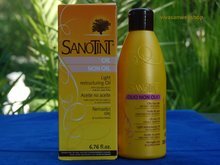 Video(s): How to use SanoTinT Hair Colour?